A moving documentary that is a reflection of the survival of spirit, belief, and heritage. This is the story of the unique Jewish community of Iquitos, Peru. In the late 19th century, among the adventurers who came to the Amazonian rainforest following the great rubber boom, were Jewish men from Morocco. Some of these men settled in the isolated town of Iquitos. There, they married indigenous women, raised families, and maintained names such as Cohen, Pinto, and Khan. Their original Jewish traditions became mixed with indigenous Amazonian life creating an authentic and practically unknown Jewish tradition. Following the "discovery" of the Iquitos Jewish community, interested and well-meaning rabbis and scholars have become part of their "return" to a more normative Jewish tradition. 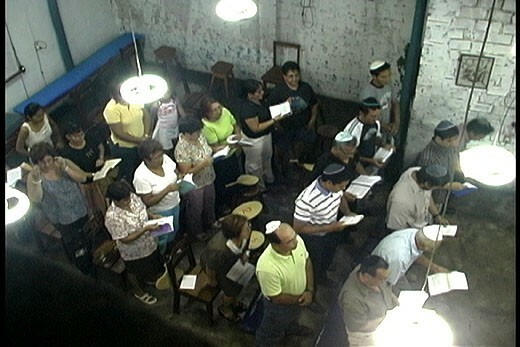 While in the distant capital of Lima, the Jewish community is reluctant to recognize the Iquitos Jews as their own, a group of Iquitos Jews has undergone a process of conversion, and many have immigrated to Israel. 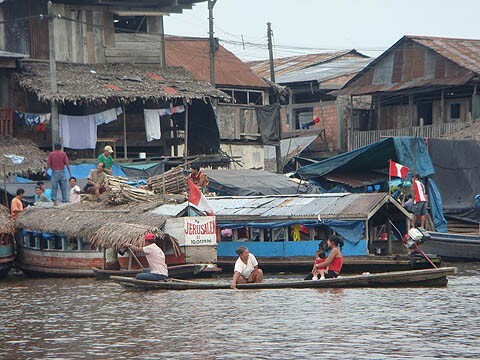 Others have remained in Iquitos in hopes of helping the community flourish and grow. In this beautifully filmed documentary, with scenes moving between Amazonian Peru and Israel, we see the struggle for identity of this group of Jewish descendents. 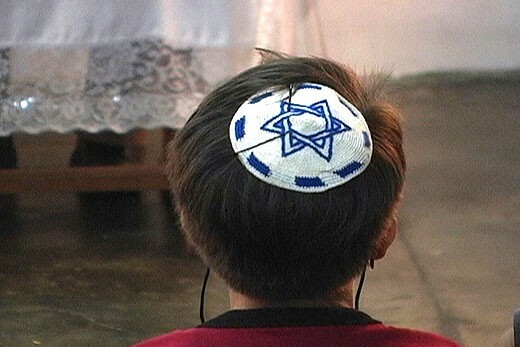 The traditional Ashkenazi community in Lima, on the other side of the Andes, simply rejected them as non-Jews, but others were supportive in teaching Hebrew and Jewish traditions and law in preparation for conversion. Their commitment and desire to live as Jews is inspirational. Two groups successfully completed rigorous conversions, supervised by a Conservative rabbi, and some have made aliyah and moved to Israel, where they have established productive lives. Lorry Salcedo Mitrani's documentary The Fire Within tells the story of the Jewish community in Iquitos, Peru, created in the late 19th century after Jewish men-mostly Sephardic settlers from North Africa-came to take part in the Amazonian rubber boom, marrying local women. Over the years, the group maintained a quiet existence-maybe too quiet, since the Jewish community in the Peruvian capital of Lima wasn't even aware of their presence until the 1980s, sparking a controversy over the authenticity of the Iquitos community's Jewishness: Lima's Orthodox Jewish leaders rejected the Iquitos Jews as not being true members of the faith, but the city's Conservative Jews patiently instructed them in full Judaic protocol while also coordinating formal conversion ceremonies. Many members of the Jewish Iquitos community eventually resettled in Israel, where they made a determined effort to learn Hebrew while assimilating into a very different cultural environment. While The Fire Within skirts some obvious questions about the Iquitos community's acceptance of Jewish culture (including the issues of kosher food, circumcision, and the appropriate observance of religious holidays), it nevertheless presents a compelling real-life story of religious piety through a mix of archival footage/photos and remarkable interviews, offering a fascinating glimpse of a relatively obscure aspect of Latin American Jewish history. Around a century ago, Abraham Edery Fimat, a Sephardic sailor from Morocco on leave in a Brazilian port, fell asleep in a bar. He soon learned his ship had sailed without him. As Victor Edery Jr., his grandson, recounts in Lorry Salcedo Mitrani’s affecting new documentary, The Fire Within, Abraham tried to follow his crew on another boat—only he went the wrong way. That’s how he ended up heading west, hundreds of miles down the Amazon, until he arrived in the remote Peruvian city of Iquitos. To his amazement, Edery found other Jews there. They were merchants, traders, and adventurers, Sephardic as well as Ashkenazic, from Morocco and Europe, who came to make their fortunes in the rubber boom. As photos in the film show, many did. Parading in front of their tropical mansions in top hats and tuxedos, the newly rich aspired to bring a continental sophistication to the jungle outpost (though not with the intensity of the city’s most famous resident, the ill-fated opera lover in Werner Herzog’s Fitzcarraldo). Eventually, the rubber business moved on to Asia, and most of the Jews returned to their native lands. But the families they created with native women stayed behind. And though the men left little evidence of organized Jewish life—with the exception of a cemetery—their children and grandchildren retained knowledge of their heritage. Still, without schools, books, rabbis, or connections to Jews in the faraway capital, Judaism in Iquitos seemed destined to fade away. So how to explain the fact that several hundred of their mestizo descendants—now three, four, and five generations removed from the source—have not only rediscovered their identity, but embraced it, studied for conversion, even made aliyah? This is the story Salcedo tells in The Fire Within. The film, which is having its New York premiere this month at the New York Jewish Film Festival and is screening at other venues over the next few months, is the latest addition to a genre of what might be dubbed Lost-and-Found Jewry: films, books, long-form articles, and other reports on the intriguing communities with potential Jewish roots that have been “discovered” in recent decades around the globe. At the same afternoon screening, we travelled from crowded Mumbai of the Bene Israel, and a community in the midst of emigrating to Israel, into the lush Amazon rainforest in Peru in The Fire Within: Jews in the Amazonian Rainforest by Lorry Salcedo Mitrani. This film is about a community of Jews from the Amazon who have relocated in the Negev desert in Israel. 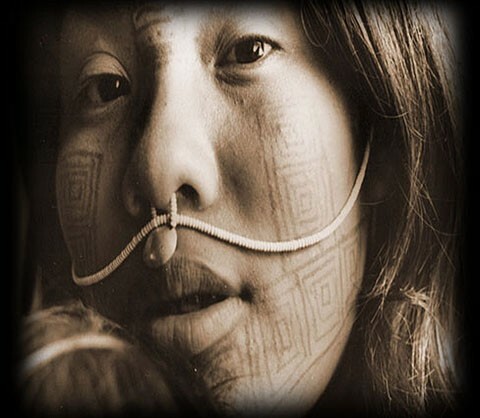 These 300 to 400 Jews are the descendants of Jewish men who came to the Amazon seeking their fortunes in the rubber boom during the late 1800’s, and their indigenous wives and girlfriends. We follow their journey to become fully recognized as Jews, their mass conversion to Judaism, and their emigration and stunningly remarkable adjustment to life in Israel. We meet the scholar, Ariel Segal, and the Rabbis who took part in this remarkable education and conversion. “You don’t often ask a person of his religion the first time you meet; but in light of the film he made about the conversion process of a Peruvian community in the Amazon basin, I felt comfortable asking The Fire Within director Lorry Salcedo Mitrani whether he was Jewish. The story he told me revealed as much about the subjects of his documentary as his own personal history.